James Patterson's latest novel, The Chef, is being released as an 'interactive reading experience' for Facebook Messenger. 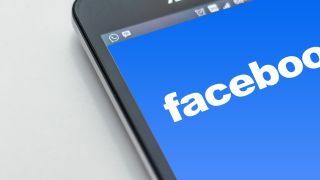 The novel will be published in hardcover in February, but Facebook has teamed up with the author to create a preview that will let readers engage with the story and characters via video and sound clips. To try it, search for 'The Chef Book Test Page' in the Messenger app. Patterson, the high-profile writer behind the Alex Cross series, is also hosting a live Q&A session, which you can join on the book's Facebook group, and has created Instagram profiles for its key characters. Bestselling American author Patterson is no stranger to digital releases in some form or another, having earned a Guinness World Record for being the first person to sell over a million ebooks. He also has a track record for finding new ways to share stories in an age of digital formats and shortened attention spans. In 2016, he launched a series of bite-sized novels for the platform BookShots. Each title is under 150 pages long, and costs under $5 (about £4, AU$7). "You can race through these – they're like reading movies," he says. The best Kindle: which Amazon ereader should you buy?